Dr. Mohammad Mossadegh (1882-1967) was a lawyer, professor, author, Governor, Parliament member, Finance Minister, Foreign Minister and democratically elected Prime Minister of Iran. Mossadegh fought both internal corruption and foreign interference, enacted social reforms and nationalized the Iranian oil industry. In 1953, he was overthrown by a British-American coup, arrested and tried as a traitor in military tribunal court. It was the CIA's first successful dismantling of a foreign government, and Iran has not known democracy since. John Kerryâ€™s Iran Deal: Smart Diplomacy or Appeasement? The FBI Campaign To Destroy â€œEvilâ€� Martin Luther King, Jr.
â€œHighest Complimentâ€� — Who Wrote This Nervy Iran Letter? Why do we support some dictators and condemn others? 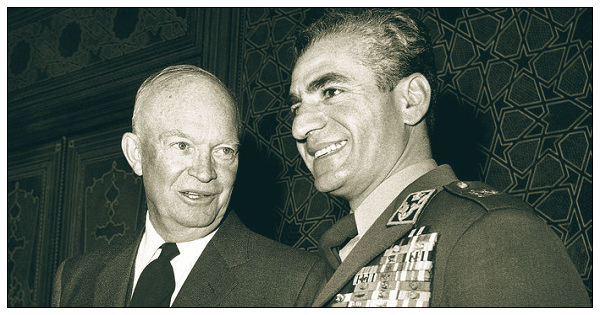 Mossadegh on Monarchy: "Shah Should Reign and Not Rule"
LIFE Urges U.S. to Get Muslim World To "Stop Hating Us"
Did Mossadegh Carry a Gun to Protect From Death Threats? Christopher Hitchens: 1953 Coup in Iran was an "Atrocity"
Chalmers Johnson (1953-2010): 1953 Coup "Blatantly Illegal"
Response to Maziar Bahariâ€™s Negligent "An Iranian Odyssey"
Fred Halliday (1946-2010) on Iranâ€™s "Counter-revolution"
Ron Paul on Iran, U.S. Foreign Policy and "Blowback"
Allen Ginsberg: Iran Was OUR Hostage For 27 Years! Guess whoâ€™s been CAUGHT RED-HANDED . . .
GANDHI and MOSSADEGH- Masculinity At Its Finest? Copyright © 2004-2019 The Mossadegh Project :: Mohammad Mossadegh.com All rights reserved.